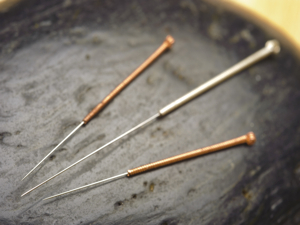 The practice of acupuncture began in China, with a recorded history of 2000 years. It has been practiced over centuries to support a variety of ailments and conditions, and now new research shows that it can, in fact, improve our wellbeing, specifically for those who experience chronic pain. The system of acupuncture is based on the theory of energy meridians from traditional Chinese medicine. The meridians are believed to facilitate the flow of our energy, qi, and the needle is intended to stimulate the very specific point that releases stagnation. Although Western medicine cannot prove the existence of these meridians, or understand the exact mechanism through which acupuncture works, studies have shown that the results can be effective. A study that was conducted out of a cancer centre in New York resulted in a significant decrease in the pain of patients who received acupuncture, compared to those who received a sham acupuncture treatment, or no treatment at all. The conditions that showed significant improvement from the acupuncture treatment are neck and back pain, osteoarthritis, chronic headaches, and migraines. If you suffer from any of these conditions, then consider finding an acupuncturist near you. Ask around of your friends, family, colleagues, and even your doctor! Chances are they may know someone to recommend to you, and if you trust the person who is making the recommendation, you will likely have a good experience. Do your research and make sure that they have the proper designation to practice, and are registered to do so. Acupuncture is a holistic practice, and the practitioner should be taking time to ask you questions and get to know your health concerns before any pricking begins. Trust is important, especially if it is your first experience with acupuncture. There are people out there, such as myself, who have a slight aversion to needles, and the thought of lying on a table being pricked by them is quite unappealing. Well, I speak from experience, it is not as bad as it seems, and really, you don’t feel too much. Give it a try and see for yourself, it just may be the treatment you need to reduce your chronic pain and get back into life.